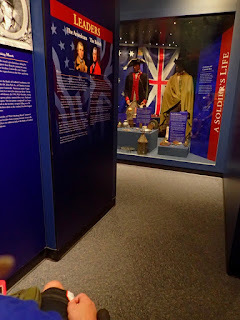 We spent most of our visit to the Guilford Courthouse National Military Park in the Visitor Center. Mom saw the movie, but Mik again wasn’t interested. Instead, we enjoyed the exhibit area. 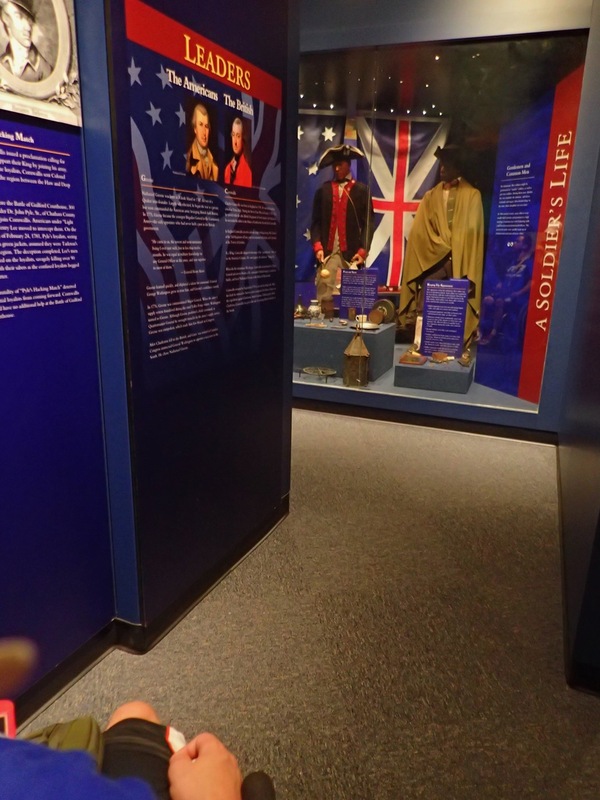 We found the exhibit to be a good size in that it has a lot of information about the site and events along with artifacts while still being not that large of an exhibit overall. 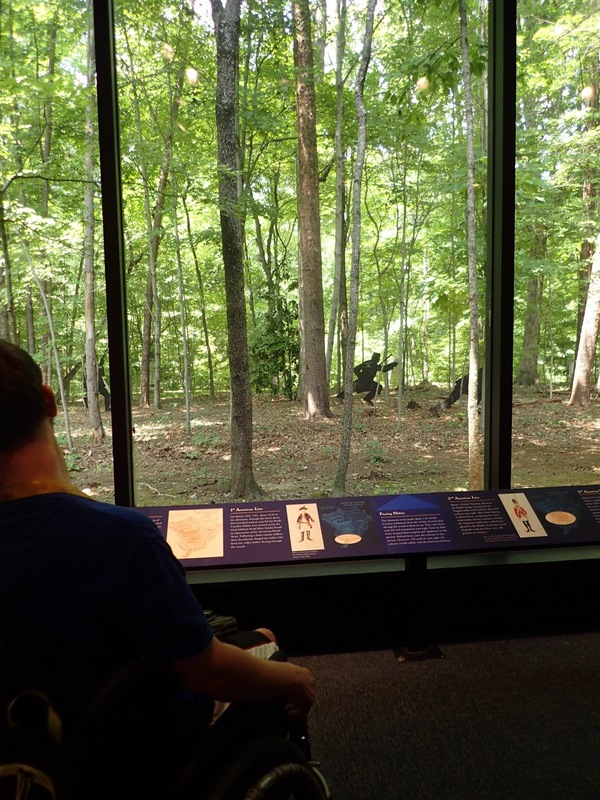 One of the most interesting parts of the exhibit was the wall of windows that look outside to where they have put up some silhouette soldiers kind of as if the battle was going on. 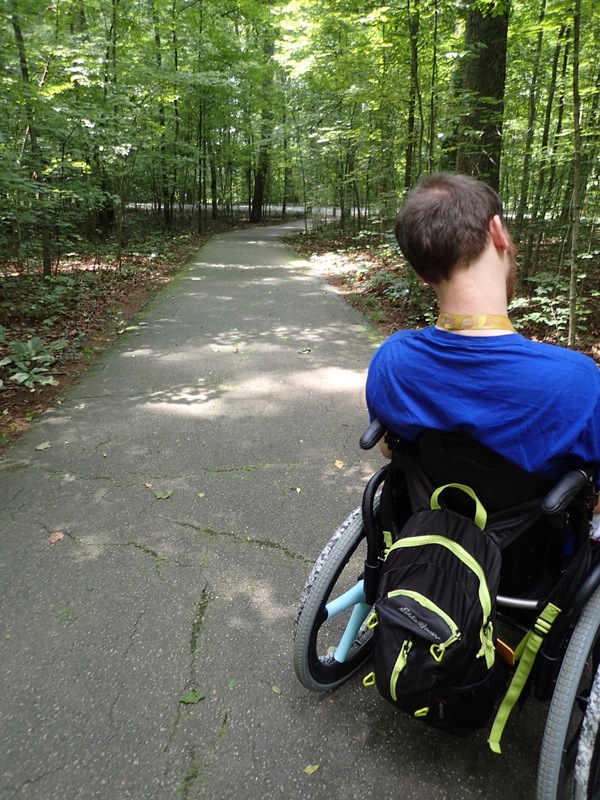 We also walked some of the trails near the visitor center. 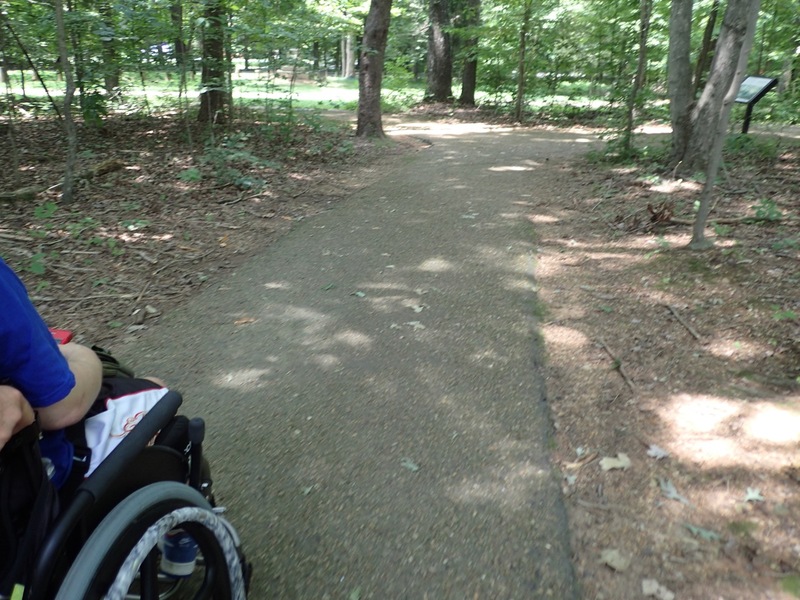 The trails seem to be mostly paved paths and we certainly would’ve done a lot more of it including the other stops on the driving tour if it hadn’t been so hot and humid. Monument Row behind the visitor center was the main part of the trail we checked out. Mik also liked when we went into the woods behind the parking lot while waiting for Mom to finish checking out at the store. 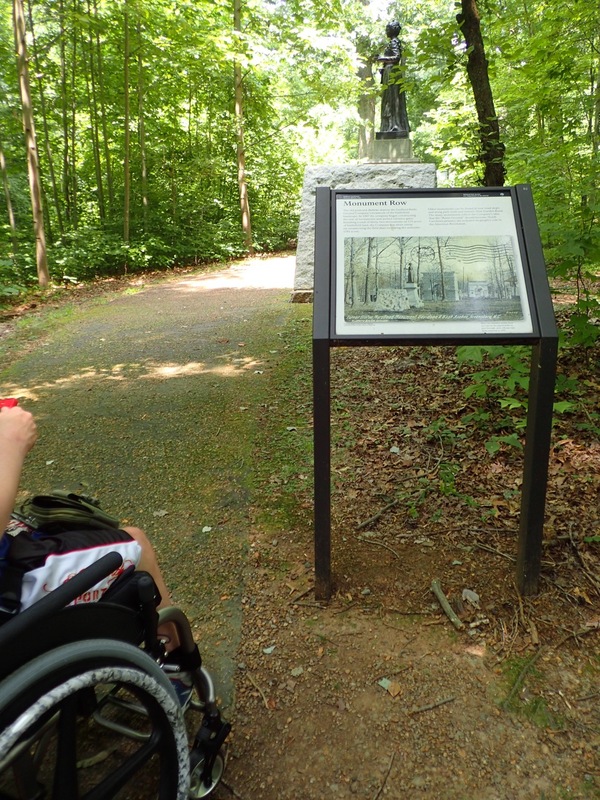 The trail didn’t have anything specific to see as far as we went (first sign, which really wasn’t far at all), but we liked that it did have information signs to read like when we did the Henry Hill Loop Trail at Manassas.